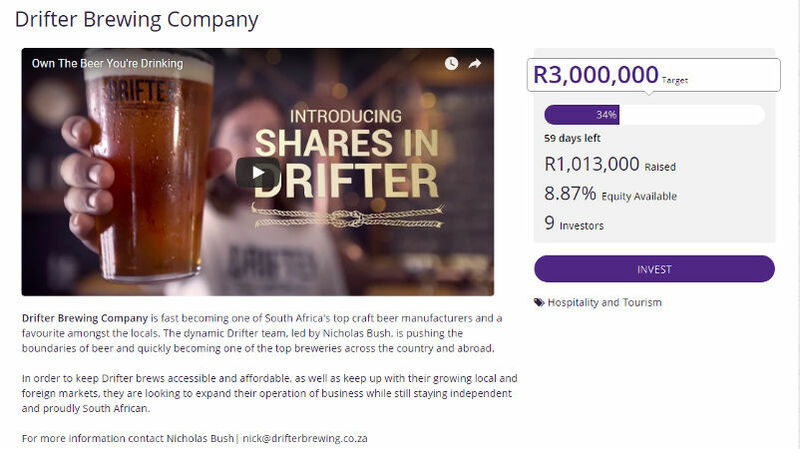 Cape Town-based Drifter Brewing Company has raised over R1-million, hours after its equity crowdfunding campaign went live on equity crowdfunding platform Uprise.Africa. The craft brewer is looking to raise R3-million for 12.1875% equity over the next 59 days . At the time of publication Drifter had raised R1 013 000 from nine investors. The company is accepting investments from R1000 and above. 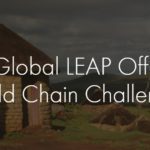 In a phone call with Ventureburn, Uprise.Africa marketing officer Inge Prins said the campaign went live last night (27 March) at 7pm. “Their value proposition is clear to customers,” Prins said, explaining why the campaign had taken off quickly. She added that around the world, beer crowdfunding campaigns “generally do well”. Drifter was founded by Nicholas Bush in 2015. Some of the Cape Town brewer’s popular beers include The Stranded Coconut and the Cape Town Blonde. Ventureburn could not reach Bush by the time of publication, however, an earlier press release by Uprise.Africa stated that Drifter has — over the last three years — seen a 120% growth in its revenue. The funding raised from the crowdfunding campaign will be used to increase the production and shelf life of Drifter’s brew. In addition, the company plans to tap the funding to scale up its production capacity, which will allow the brewery to export to the US, Europe and Asia. The company also plans to launch a number of Drifter bars across the country that will serve the brewery’s range of beers. The Drifter equity crowdfunding campaign is the second campaign Uprise.Africa has launched, the first for Storied — a 90-day campaign — has an initial target of R3-million and has so far raised only R82 200 with just under 17 days to go. *UPDATE 29/03/2018 Drifter Brewing Company director Nicholas Bush subsequently contacted Ventureburn in an email. He said after the campaign is over, he will own just over 16% of the brewing company. He said the company had opted to raise capital through equity crowdfunding as “we like the idea of a community focused company, rather than having one or two big venture capitalists”. “All the investors will be coming from different backgrounds with a variety of incomes and experience in investing. Also, by taking on lots of different investors we grow our network of brand ambassadors as they become part of the Drifter family,” said Bush. Daniel's focus is on the African tech startup ecosytem. Besides that, he is passionate about online security, privacy and international affairs. He studied International Relations and Media Studies at the University of the Witwatersrand.